What? A new play starring Academy Award winner Helen Mirren and she's playing Queen Elizabeth II as well? Count me in. I have always been a huge fan of her work and her performance a few years ago in The Queen was one for the ages. Thankfully for all of us she is back on The Great White Way once again. The Audience,which opened at the Gerald Schoenfeld Theatre on March 8 is a must see for not only fans of Helen Mirren but for anyone who loves the theatre.The show which first premiered in London is set to run thru June 28. That means you only have a little over two and a half months to see it. That is if you can get a ticket of course.Now don't get me wrong. There are tickets available. Oh sure they may be a little more expensive than say like Chicago or The Phantom of the Opera but they are out there. I mean let's face it. It may be a long while before we see Helen Mirren on Broadway again. Now for those of you who want to see the show you are in luck. We actually sell it. Not only that but we can get it for you at prices that are lower than you will see anywhere else. 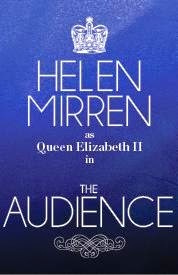 Get your tickets to see Helen Mirren in The Audience on Broadway. Expect the show as well as it's star to be a big contender at this year's Tony Awards. Until next time theatre fans.